Holding a Master’s Degree in Pharmacy, Silvia decided to focus on music in her professional career. 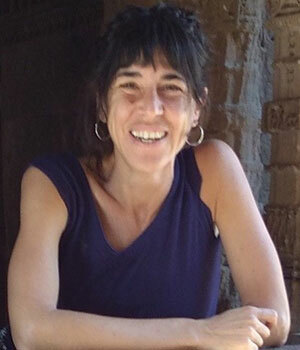 Having learnt music since her childhood she pursued and completed her musical studies in the Isaac Albeniz Conservatoire in Girona (Catalonia, Spain) with a Professional Degree in Piano and Music Pedagogy and studied further about the Dalcroze Method, Orff Approach, Body Percussion and Soundpainting. Silvia also holds a Master’s Degree in Music Therapy and a certificate in Art Therapy. Before she settled in Mumbai, Silvia was teaching music in a school specializing in the Performing Arts. Her approach to music is holistic and focuses on developing creativity, promoting improvisation, enhancing body consciousness, and voice training and fostering participation. Silvia kindly volunteers her time at the Mehli Mehta Music Foundation and also collaborates with the NGO Mumbai Smiles in their educational projects.